I'm helping out John a bit on his awesome Starflight Heroes of Arth project similar to how I help out Marvin on his Starflight Remaking of a Legend project. 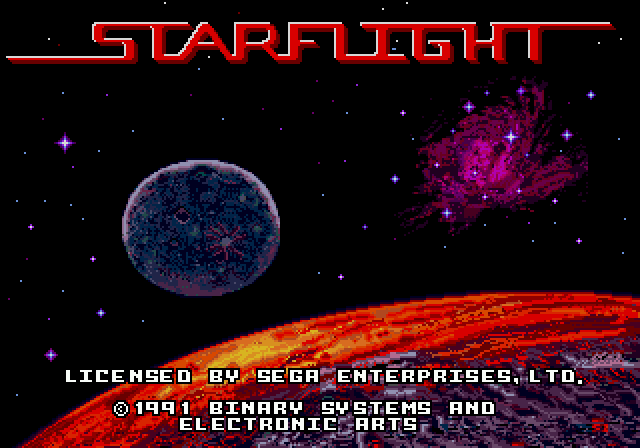 I'm a big fan of the original Starflight games (in particular the SEGA Genesis/Mega Drive version) and am passionate about the many fan projects out there. 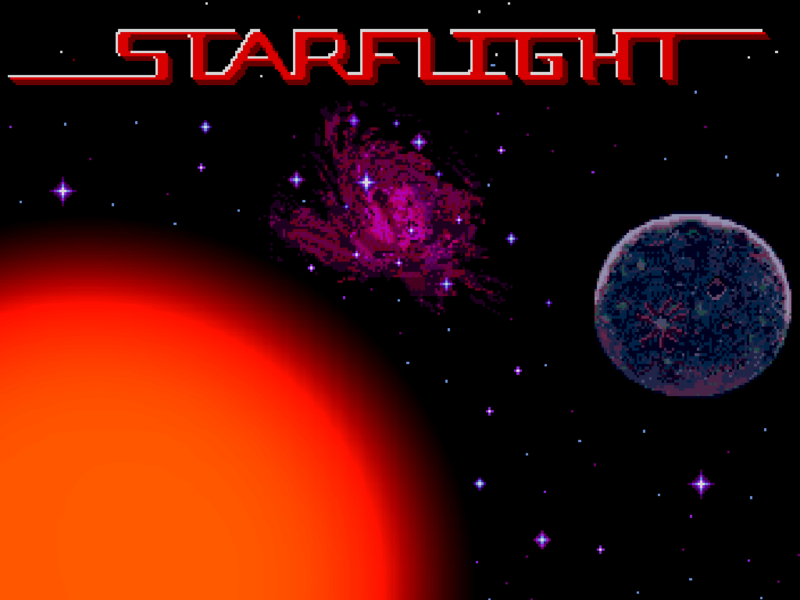 So much so that I recently made a video series trying out every single Starflight fan game out there digging up private demos and content the world has never seen before! 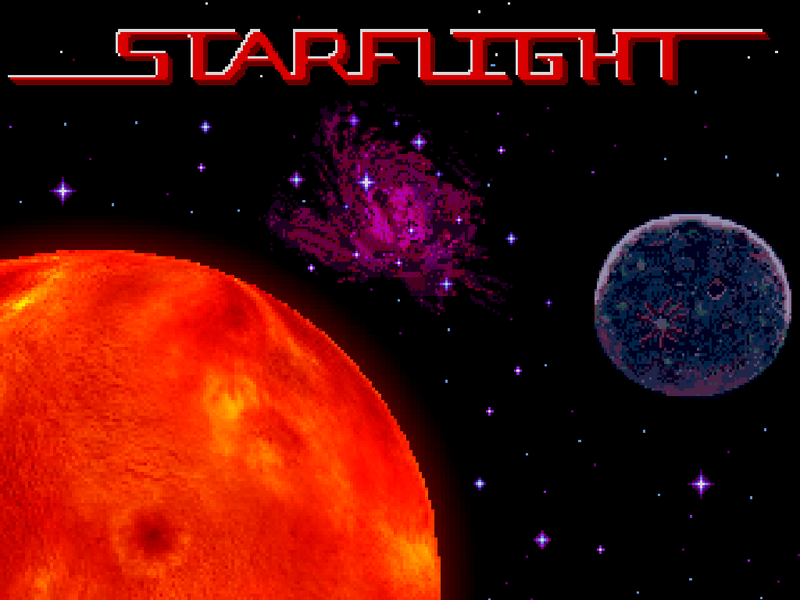 One of my absolute favourite fan projects is Starflight The Lost Colony which at this point in time is still the only finished SF fan game in existence. For many years I've dreamed of modding SF-TLC to have Genesis graphics but lacked the time, talent and patience lol! Thankfully John has those qualities so when I found out about his project I knew I just had to help him! The first thing I wanted to help John tackle was the title screen. To start with I have a modified version of the original Genesis title screen where I got rid of most of that infamous weird gibberish graphical error at the bottom so feel free to take a copy for yourselves! The big 3D spinning planet on the Starflight The Lost Colony title screen below is cool but it creates a couple of issues..
1 - Its on the opposite side of the screen to where Arth was on Genesis. 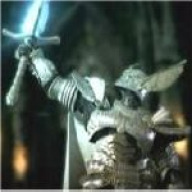 2 - Its at a much high resolution than the genesis title screen. So I mirror flipped the Genesis screen and removed the Genesis Arth planet. Presumably the planet in SF-TLC is dead as it has no atmosphere however Arth does have one so I needed to create some atmosphere. 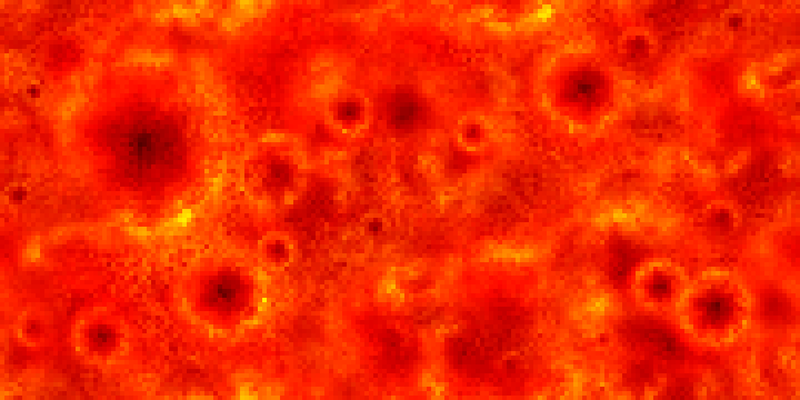 I hopped into Paint Shop Pro and played around until I got what I wanted.. almost looks like a sun lol. 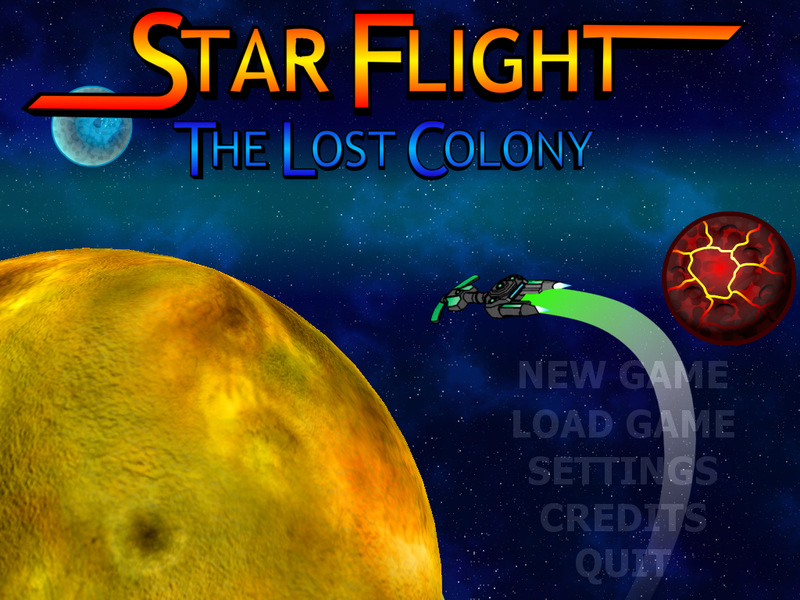 Then John took it and improved it some more before modded it into Starflight The Lost Colony. Firstly he lowered the resolution of the 3D texture even more. Then he flipped the nebula & moon back around to better match the original Genesis game again. To finish off he converted the TLC start menu (not an easy task as it was broken up into many small image files) to a cool Genesis style and even added the good old Genesis music we all know and love too! Here's the finished result. Hope you guys like!